These REAL Bear Claw necklaces hang on a 32" leather strap, with one of our Real Black Bear Claws. These are mostly made using the rear bear claws. 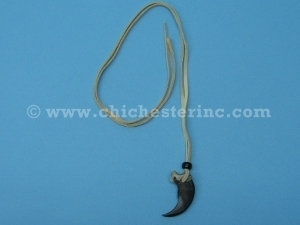 We can also make claw necklaces out of the large and jumbo bear claws. Subject to availabity as the large and jumbo claws are harder to get. Our Gxx codes denote individual pieces. 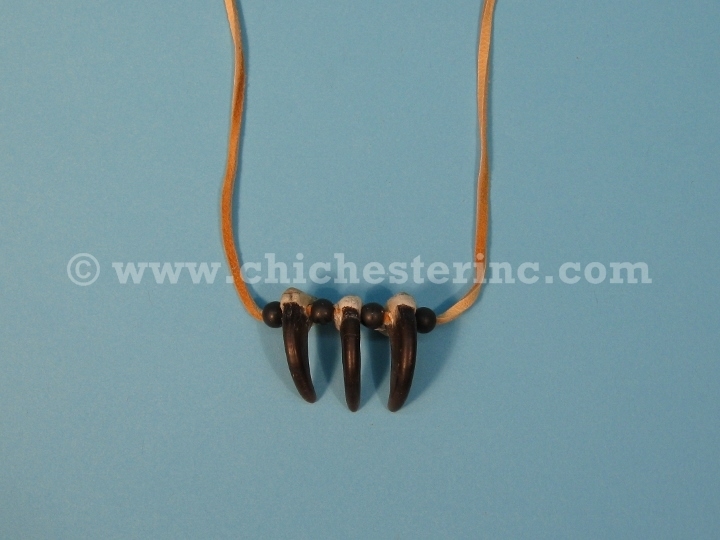 If you would like to order a specific necklace, please go to our Gallery to pick the exact one shown.